Cirrhosis of the liver is a slow progressive scarring of the liver as a result of continuous chronic injury or damage. In this condition, healthy liver tissue is replaced by scar tissue which prevents the liver from performing its functions. There is a diffuse fibrosis of the liver with the formation of nodules of regenerating tissue. The liver is the largest gland of the human body. It is responsible for many important functions essential to sustain our body. This scar tissue will block blood flow through the liver and slows the nutrient processing, hormone synthesis, drug metabolism and detoxification performed by this organ.There are four stages of Cirrhosis. Fatty Liver: Individuals with this condition naturally have excessive fat in their liver. Isolated fatty liver does not progress to any serious disease. It is can be considered benign if it does not result in inflammation or damage. It infrequently causes symptoms and is only discovered incidentally. Non-alcoholic steatohepatitis or NASH: This form of cirrhosis of the liver is very similar to alcoholic cirrhosis with the only difference being that the individuals are not heavy drinkers. NASH can eventually result in a state of irreversible liver damage. The liver tissue enlarges and is replaced by a fibrous scar. Individuals with NASH have the risk of developing liver failure, gastrointestinal bleeding, liver cancer or even progress to death. • Skin discoloration in patches on the neck or in the armpits. • Blood tests: Elevated blood levels of liver enzymes called alanine aminotransferase (ALT) or aspartate aminotransferase (AST) may occur in conditions affecting the liver. • Imaging: Various imaging studies like an abdominal ultrasound may reveal a problem with the liver. • Liver biopsy: This is the only definite method to confirm a diagnosis of this condition. 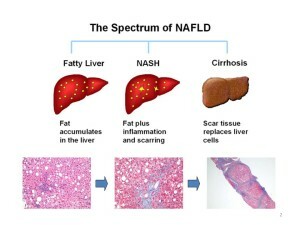 It can easily differentiate between isolated fatty liver and NASH. If NASH is present, signs of inflammation and damage hinting at cirrhosis of the liver will be observed under the microscope. This is not present in fatty liver disease. Unfortunately, there is no direct treatment for this disease but there are various dietary protocols you can follow to maintain optimum wellness. Since Fatty Liver is associated with metabolic syndrome, diseases like dyslipidemias and high blood pressure should be monitored and controlled. If you are suffering from other underlying conditions like diabetes, then it may also help to keep a check on that. You can also take other preventive measures like avoiding alcohol consumption (even if you are not suffering from alcoholic liver disease) to prevent disease aggravation. The only promising treatment for fatty liver disease is by losing weight through dietary measures, exercise, natural health supplements, juicing of vegetables and fruits, enemas or even bariatic surgery if required. The Paleo Diet covers many important bases when it comes to liver health and Fatty Liver Disease . Paleo nutrition is high in omega 3’s, rich in choline, low in omega 6″s , rich in vital minerals and vitamins which are crucial to helping the liver detoxify and what is best with this diet, it is easily adjustable to meet anyone’s carbohydrate requirements. By returning to a healthy and whole foods diet packed with all important fresh organic fruits, vegetables and meats and by dropping highly processed foods, coffee, alcohol, grains and other non liver friendly foods your liver can help rid your body of damaging toxins. There are whole lists of which foods are liver and body friendly to shop for, 350 easy and delicious recipes for Paleo meals and a mouthwatering recipe book dedicated to Paleo deserts ,because lets face it, for some of us, desert is the best part of a meal! We all love our treats and after a hard day,a reward and comfort is essential. Don’t know how to? There is full 8 week meal plan to get you started and also how to use Herbs and Spices in your meals for best effect and goodness. 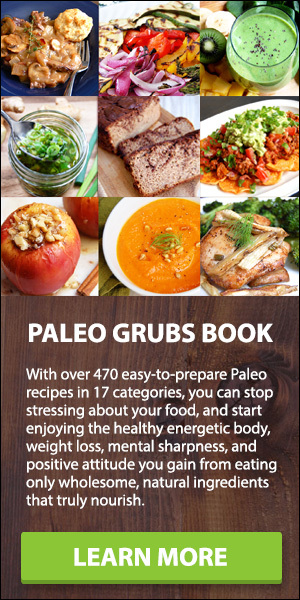 If there are issues which arise such as what should I do, why am I feeling tired, digestive problems or even why am I not losing weight problems, there is a whole section on Paleo trouble shooting to give advice and ideas. Not only can you help your liver with a Paleo diet , many people also lose weight, regain lost energy, allergies disappear, many of those niggling health issues that are just there, simply disappear, sleep improves and whole body wellbeing can improve as your body returns to a state of health and balance. If timely precautions are taken, you can prevent the progression to cirrhosis of the liver which is irreversible whereas a Fatty live if caught in time is reversible..